Champions Solihull Barons rounded off their Laidler Conference regular season with a 10-3 home win over league runners up Deeside Dragons. That win sees the Barons finish a massive 12 points clear at the top of the table with a run of 22 consecutive wins that stretches back to 13th October. Elsewhere Sheffield Senators beat Blackburn Eagles 9-1 and Nottingham Lions beat Hull Jets 6-5. 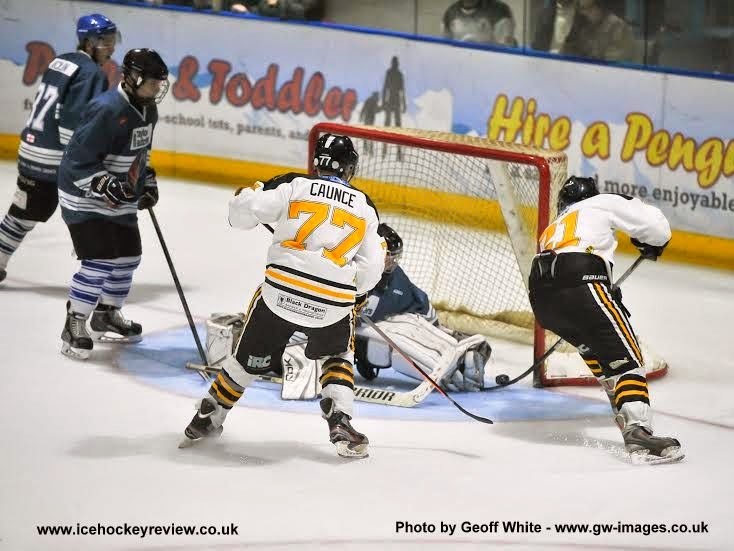 Widnes Wild took another "top 4" scalp as they beat 3rd place Coventry Blaze 7-2 in their last home game of the season. Blaze finish in 3rd places on 34 points - 2 points ahead of 4th place Nottingham Lions. The Laidler Conference league finishes next Saturday when Widnes Wild travel away to Hull. Victory in that final game would see Wild leapfrog over both Sheffield Senators and the Jets to finish in 5th place in the table, which would be a creditable achievement for their first season in the NIHL.